Trucking companies and contractors operating in the state of Kentucky are required to adhere to a broad range of Department of Transportation (DOT) and Federal Motor Carrier Safety Administration (FMCSA) regulations. If you’re looking for a way to ease the burden of keeping up with necessary compliance paperwork, registrations or driver qualification documentation, US Compliance Services offers the support you need. We partner with all different sizes and types of businesses to assist in reducing risks, eliminating fines and operating more efficiently. Our knowledgeable team is made up of experts in Kentucky trucking compliance to ensure you’re following the most current standards and procedures. From professional trucking compliance consultations to assistance with getting your company up to speed on the latest industry trends and electronic filing technologies, we offer customized, scalable solutions that improve safety and efficiency. Let us take care of monitoring and managing fleet compliance so you can devote your time and energy to running your business. When you own or operate a trucking company, maximizing uptime and the productivity of your fleet is key to remaining profitable and competitive. However, failing to comply with complex compliance laws can grind your business to a halt and cost you time and money. US Compliance Services understands your industry challenges. We are equipped to keep you up-to-date on current standards and ensure you’re following all rules and regulations relating to filling out and filing paperwork. As a full-service provider, we also offer assistance confirming registrations are accurate and valid and reviewing employment qualifications and onboarding new hires. 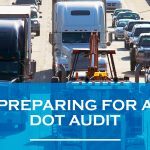 DOT Consulting Services: Filing for new DOT numbers, renewing MCS-150 Motor Carrier Identification Reports and keeping up with many other compliance requirements can feel like a full-time job. With our team of consultants in your corner, you gain peace of mind that every aspect of the detailed DOT application and registration process is covered and accounted for. Our trucking compliance assistance ensures you’re following standards that increase safety while freeing up your time to devote to other areas of your business. FMCSA Services: The FMCSA mandates interstate and intrastate trucking companies hauling hazardous materials provide documentation they are financially responsible in case of an accident or incident resulting in loss of life or property. US Compliance Services are here to help you understand your requirements and guide you through the process of registering or renewing an MCS-90 endorsement demonstrating you’re carrying the appropriate insurance. We will make sure your paperwork is in order and you’re prepared to respond to safety audits, roadside inspections and compliance reviews. DOT Driver Qualification Management: Validating the professional skills and qualifications of drivers is critical to protecting your valuable assets and avoiding penalties and liability concerns. We offer Kentucky trucking compliance assistance meeting stringent DOT driver documentation guidelines. From recording registrations, work histories and hours of service (HOS) to road tests, physical exams and more, we have you covered. IFTA Compliance Assistance: Put the complicated process of accurately preparing and filing tax-related forms on the shoulders of the professionals at US Compliance Services. We have extensive experience working with companies subject to the International Fuel Tax Agreement (IFTA) guidelines. We’ll make sure your filing is submitted on time and that you have the proper documentation organized and accessible in the event of an audit. ELD and eLOG Compliance: Switching from using paper logbooks to electronic systems for tracking HOS not only improves efficiency but is also increasingly mandated across the U.S. We offer a variety of services and solutions for implementing electronic logging devices (ELDs) or eLogs for keeping track of your trucks in an organized and secure filing system. Our trucking compliance consultation experts will oversee a smooth transition from registering new units and procuring proper permits to verifying records and transporting data from paper to electronic logs. 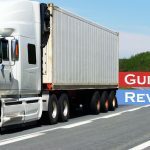 Whether you’ve been in the trucking industry for decades or are starting from scratch, there are many moving parts from a legal standpoint of managing and monitoring a broad scope of compliance issues. US Compliance Services helps trucking company owners and supervisors stay informed on ever-changing standards and DOT and FMCSA laws for keeping your drivers, cargo, trucks and other vehicles safer. We’ll make sure you’re in trucking compliance in Kentucky today and over the long haul. We are proud to offer our customers a range of resources from a single, reliable source. Our free Driver Qualification File delivers a commercial driver application and a comprehensive checklist for validating candidates for employment. We also offer extensive DOT information and trucking company management advice for starting and running a successful trucking business as well as log books, DOT decals, magnets and more. If you’re overwhelmed by the day to day challenges and management of trucking compliance and the worries of whether you’re following all applicable rules and regulations, we’re here to assist you. We’re focused on providing quality services and support to make your job easier. From supervisor training and drug and alcohol programs to Blanket of Coverage (BOC3) registration and Unified Carrier Registration (UCR), we’re the one-stop shop for all your needs. When you get in touch with us for a free consultation, our high-trained professional representatives will assist in analyzing your business and applications to offer the most economical solutions. Give us a call or fill out our online form to request assistance and a trucking compliance consultation in Kentucky today.